has been our major parish fund-raising event for more than 30 years. On the first Saturday of March, the Labour Day long weekend, Lions Park in the centre of Dunsborough is transformed into a Fete with lots of market stalls and entertainment. The members of the congregation, organize and run about 15 Stalls, these are decked out in red and white, St George’s colours. It is an early morning rise with lots of activity to have everything ready for an 8.30am start. Undoubtedly, the Fete provides the best preserves stall in the South West and lots of homemade cakes, slices and biscuits available to purchase. The appetising smell of egg and bacon sandwiches reaches people’s noses as they trickle into the town centre for their weekend shopping. The sandwich comes along with a sausage in a bun or a Gourmet Burger, depending on one’s appetite. Healthy potted plants at bargain prices and more bargains at the Almost Antiques and Kitchen items. So many good reads await the avid reader at the book stall. Music by local artists keeps everyone entertained. There is also a chance to win a prize from the ‘wheel of change’, the bottle stall and Raffle. Children enjoy the bouncy castle, have their face painted or try out the other children activities. Other market stall holders are also invited to participate in the day’s activities, creating a huge Fete for the local community and visitors to enjoy. It is a great fun day for the church community to catch up with old friends and hopefully make new ones. Funds raised on the day are shared between the Emergency Relief Programme at St George’s, School Chaplaincy work and other mission initiatives in this country and overseas. If you would like to be part of this event, contact Di Gillett, Fete Coordinator on (0417982414) or the Parish Office. 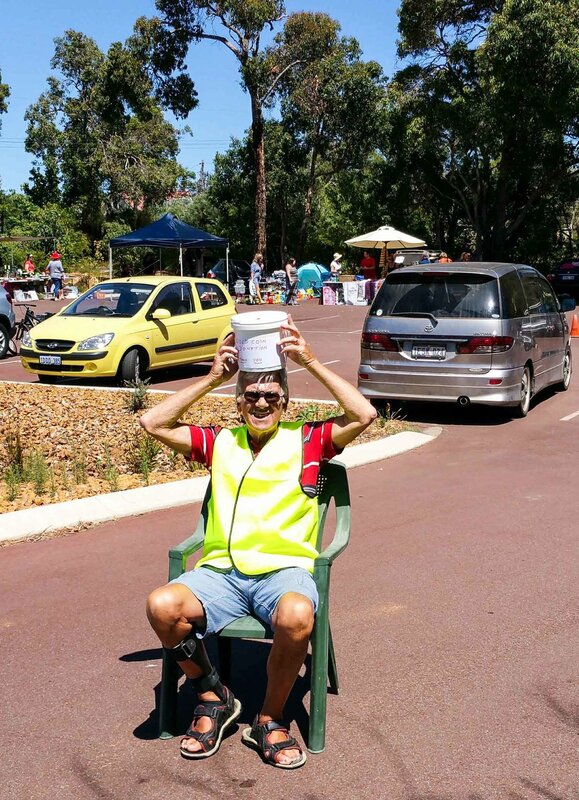 From time to time the church hosts a Car Boot Sale in the main car park – a very popular event that brings many sellers, buyers and visitors together. The event also involves a sausage sizzle as well as tea, coffee and cake sales. The atmosphere is certainly excellent, with the adults sitting around the tables and the children playing with the little toys cheaply purchased from the Op Shop. The Car Boot Sale is always advertised well in advance in the local paper, through flyers and online. is bi-annual event which showcases the exquisite craft of quilt-making from the region. We began to display quilts in our Church in 2013 in conjunction with our Prayer Quilt Ministry. 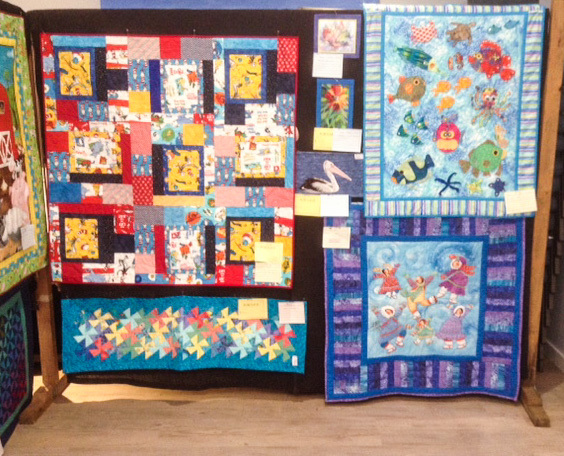 In 2015 when we had completed our new Family Centre, we were able to display more quilts and decided to have a two-day event; followed in 2017 by some 125 quilts and other items which were on display for all to enjoy. Entries are normally received from a wide area of the South West and further afield. The Quilt Fair is not a competition but an opportunity for people to come together and put their work on display. The exhibition is enjoyed by many locals and visitors some of whom come all the way from Perth to look at these breathtaking creations. In the past there have been many positive comments about the high standard of work. The Quilt Fair is an excellent place to meet up with old friends, enjoy the quilts, share new ideas, have morning or afternoon tea or a Gourmet Burger for lunch. Homemade preserves and cakes are also available to purchase, along with material and patchwork supplies. We do award a People’s Choice Prize to the most popular quilt. Funds raised through this event are donated towards the Emergency Relief arm of the St George’s community care programme as well as supporting mission initiatives locally and abroad. Children, beginners and advanced entries are welcome for the 2019 Quilt Fair. For more information please contact Di Gillett (0417982414) Quilt Fair Coordinator or the Parish Office.